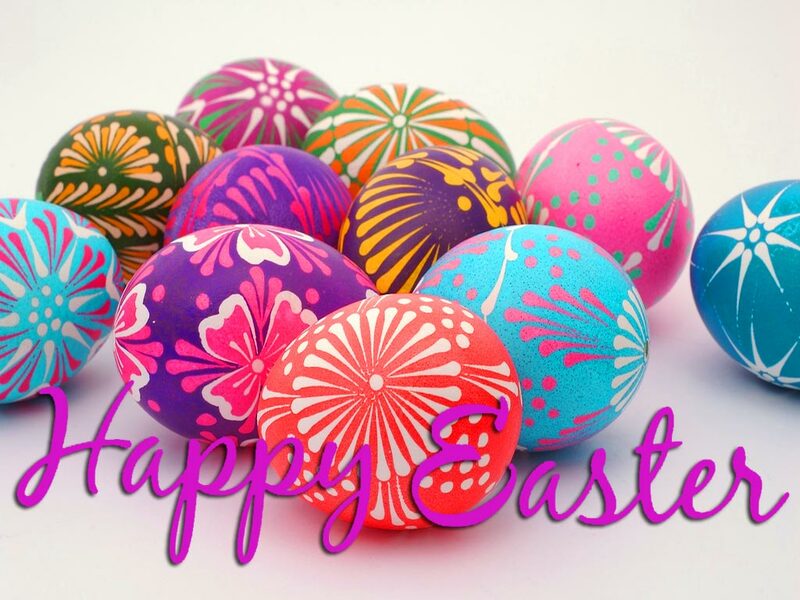 I just wanted to wish everyone a very Happy Easter. My little man has done really well for his Easter treats so far. 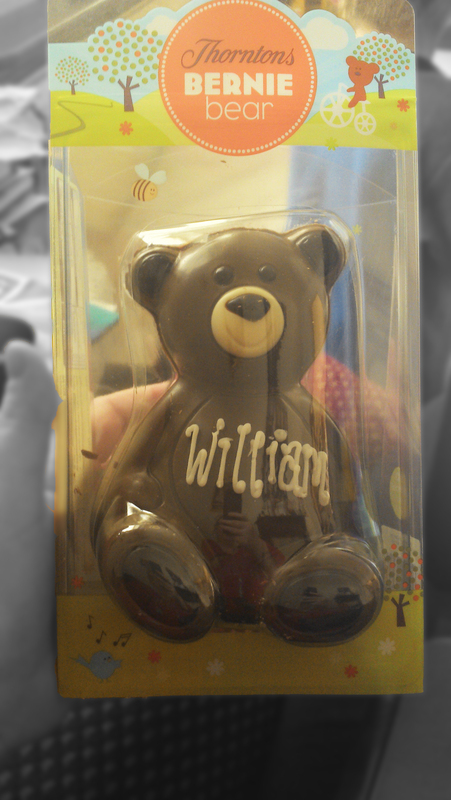 He’s got this yummy choccy Gning (I’ll have to tell you all the story of the word Gning soon…) bear with his name on it, he’s had a box of Easter animal biscuits, a Spiderman bucket filled with choccy eggs, a Cream Egg Easter egg and a giant gingerbread bunny head! Isn’t he a lucky man?! 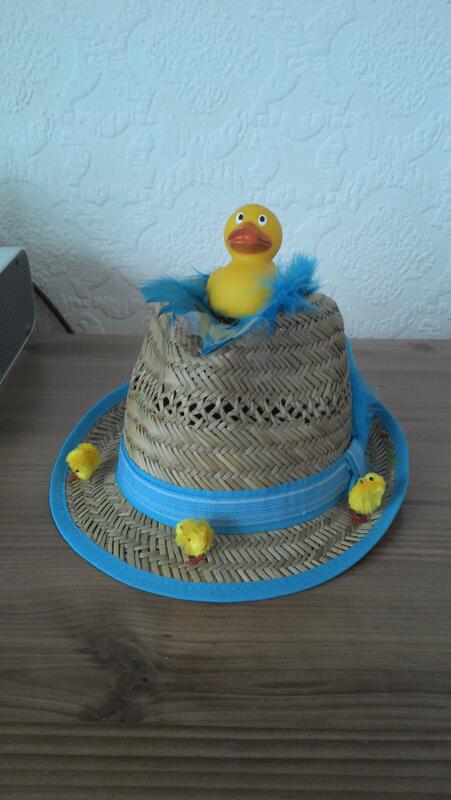 **Edited – Just thought I’d include the Easter hat that Michael has made for Williams’ Easter bonnet parade today.